The company was established in 1963 as the Zhengzhou Yutong Group Co. Yutong passed the ISO/TS16949 Quality Management System Certification issued by DQS, German management system certification company. 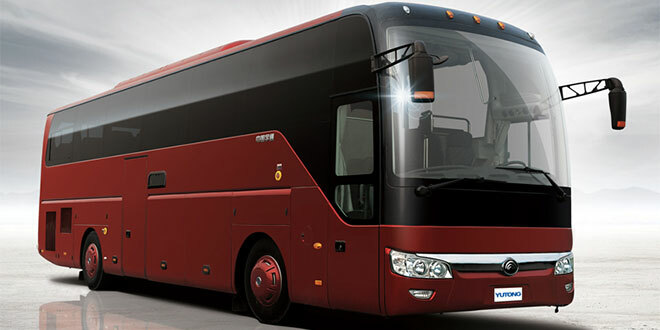 As the No.1 Bus brand in china, Yutong has won many BAAV awards including Coach builder of the year, Grand BAAV Innovation award – Coach, Grand BAAV Safety award – Coach, Grand BAAV Environment Award – Bus, Grand BAAV Award – Coach and so on. Meanwhile Yutong was granted the award of China top Brand and Chinese well-known Trademark, which was the first in China’s bus industry to own both of the honors. In 2013, Yutong was granted the title of “National Technology Model Enterprise” by the Ministry of Industry and information Technology and Ministry of Finance. Up to now Yutong has formed a complete 5m-25m product lineup consisting of ordinary, medium –level and high level products, covering various segment markets including highway passenger transit, tourism, public transport and so on, becoming a leading brand in China’s bus industry. Yutong buses have been exported to many countries and regions like Cuba, Venezuela, Russia, Iran, Saudi Arabia, Hong Kong, Macao, Africa and so on. Yutong has got WVTA certificate of EU and begun to enter European market. Yutong buses have been delivered to France, Norway,Iseral,Macedonia and so on, and successfully entered the American market in 2012.